The Stilo 7 pendant is a modern and fun way to light up your space. 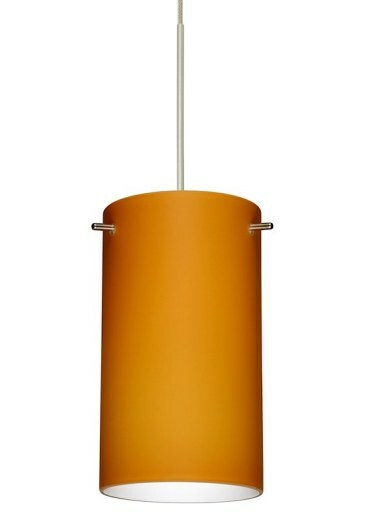 In an amber matte glass, this pendant will create a warm and inviting look. Created with handblown glass, let this mini pendant add style to your home! This 12V cord-hung mini pendant includes a 50 W halogen lamp.